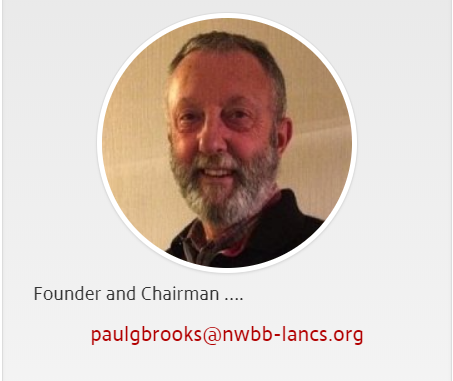 Paul Brooks, the charity chairman has been ruled to have breached GDPR laws by the ICO. Paul Brooks knowingly and maliciously published private and personal information. The publication was not only a breach of personal data but is a criminal offence of Malicious Communications which is currently under investigation. That’s right, a UK Magistrate is under investigation for criminal offence. The judiciary are reluctant to make him stand down. I am not sure why, as they did make him take down the malicious post and did ban him from using JP after his name. Don’t believe me, check any email he has sent in the last 6 months, no JP. So, the judiciary clearly believe he has been up to no good but think this is acceptable conduct for a member of the judiciary. This makes a farce of the judiciary on the basis Paul Brooks has probably convicted people for lesser things than he is committing himself. So, based on his conduct, proben by the ICO, bringing the charity into disrepute and an impending court case, I am amazed how the charity are trying to defend him and keep their ‘leader’ in place. With the legal case in progress for GDPR breaches, Paul Brooks should stand down and the judiciary should be pressured to remove him. He has breached GDPR, he has committed harassment and malicious communications, he has received assets from the police fraudulently devalued. This man thinks he is above the law and it appears he has a cult following who must walk round with blinkers on or are just as bad as he is. Pending court case brought to the attention of the charity.